Capital Region municipalities in the direct path of the proposed Pilgrim oil pipelines now stand in unanimous opposition. 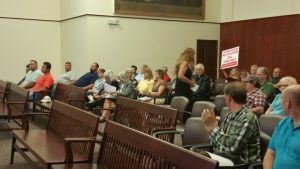 In a 5-0 vote (with two abstentions), the Rensselaer Common Council opposed the construction of the proposed pipelines. 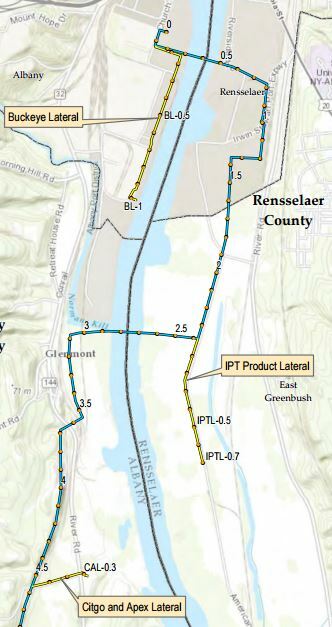 The City of Rensselaer joins neighboring municipalities Albany, Bethlehem and East Greenbush in memorializing their strong opposition to the construction of this massive fossil fuel project through their communities. They understand that Governor Cuomo’s energy plan demands that we need less fossil fuel infrastructure, not more. The resolution that passed in Rensselaer highlights the risks of Pilgrim and the clean energy future New Yorkers are demanding. Among the many reasons enumerated in Rensselaer’s July 20 resolution (read here), a few excerpts perfectly capture why 27 municipalities in New York have opposed the proposed pipelines. 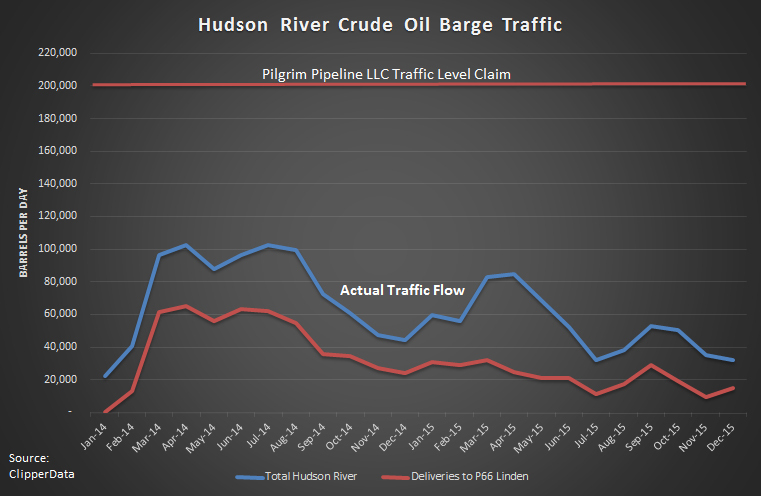 Due to the risk of spills and the absence of enforcement, the resolution notes that, “ the Pilgrim pipelines also threaten important surface water resources, including the Hudson River, which the pipelines are proposed to cross twice, and all of its major tributaries…” The clause highlights the reasons for Riverkeeper and our coalition’s opposition to the proposal. Two parallel pipelines are proposed to run from Albany-Rensselaer for 178 miles to Linden, New Jersey. 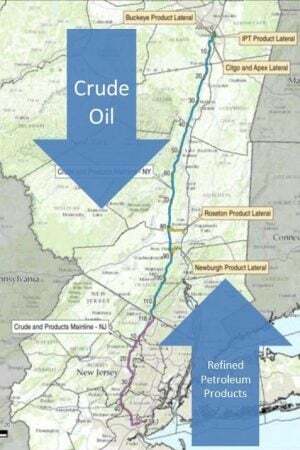 One pipeline would carry crude oil south to these refineries, and the other would carry refined petroleum products north, while five laterals would carry oil for 13.5 miles from the mainlines to tank farms along the Hudson River. Each mainline would be 20 inches in diameter with 8.4 million gallons per day carrying capacity. The northbound pipeline could be reversed to carry crude in both pipelines. The vote takes on additional significance in light of the veto powers granted to cities and villages in the path of oil pipelines under the New York State Transportation Corporations Law (read “Pass this law to empower towns on petroleum pipelines”). 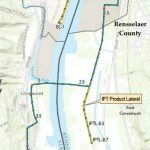 As a result of the City of Rensselaer’s vote, all four cities (including Newburgh, Kingston and Albany) potentially impacted by the pipelines have formally opposed the project. 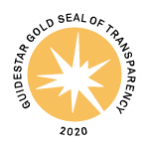 It also does not bode well for the project that three of the five villages (Woodbury, Tuxedo and Cornwall) with same veto authority under the Transcorp law have opposed the pipelines as well (see a complete list of resolutions). Two proposed Hudson River crossings. One at the Port of Albany to the Port of Rensselaer, and a second from East Greenbush to Glenmont. 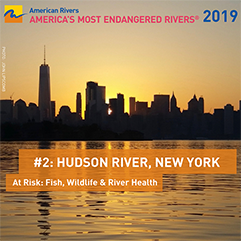 Tidal River: any spill would be washed up and down with the tides, along the entire Albany and Rensselaer waterfronts, affecting shore front parks, businesses, and recreational facilities. More bomb trains in Albany at Global Partners: at 8.4 million gallons per day capacity for southbound oil transport, the pilgrim pipelines would require 5-6x the number of bomb trains arriving in the Port of Albany during the first half of 2016. Data from the independent, non-partisan service ClipperData compiled by Lorne Stockman of Oil Change International confirms our assertion. Dirtier Air: Albany/Rensselaer has poor air quality that already adversely impacts human health. Additional bomb trains that would feed the added pipeline capacity could worsen the air and impact vulnerable populations such as the young, elderly and those with breathing issues such as asthma. 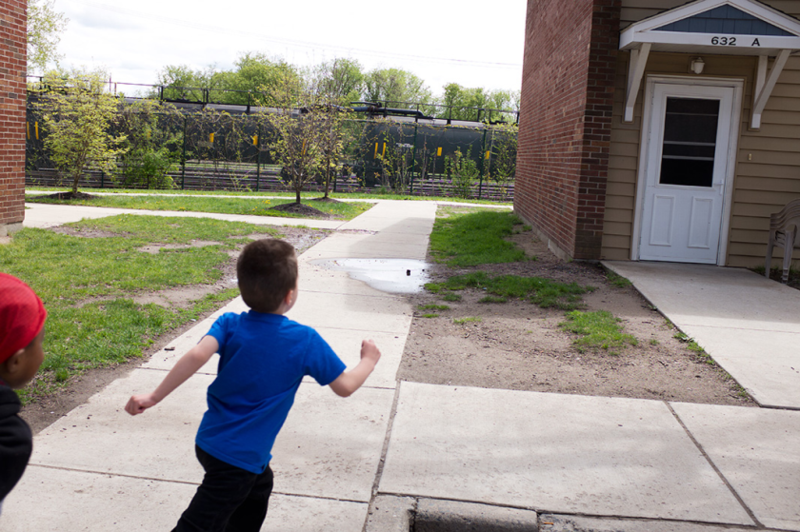 See Earthjustice’s photo journal, “Watching the Rails: One Community’s Quest for Safety”, of the impacts bomb trains have on residents in Albany’s Ezra Prentice Homes, an environmental justice community adjacent to the proposed starting and ending point for Pilgrim’s pipelines. 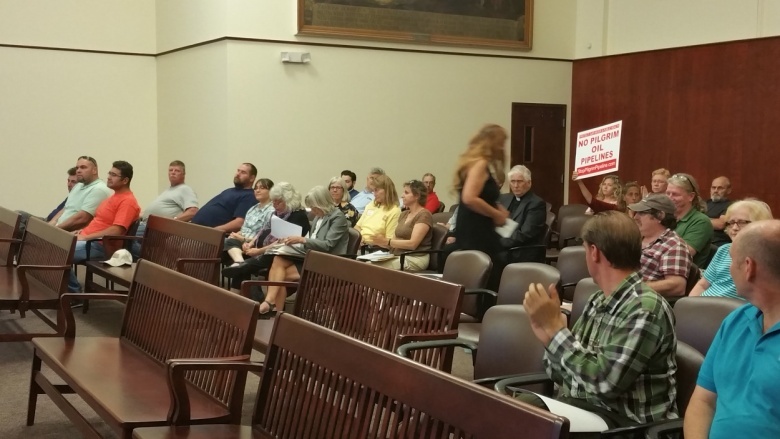 For several months Riverkeeper and the Coalition against Pilgrim Pipelines-NY worked closely with local activists such as Joanne Kathleen Farrell to educate and activate City of Rensselaer residents about the dangers of the proposed fossil fuel project. Ferrell, of Rensselaer Community Action, led a heroic effort to galvanize the community against the proposed project, going door to door and to local businesses such as the local solar panel installer, Monolith Solar. 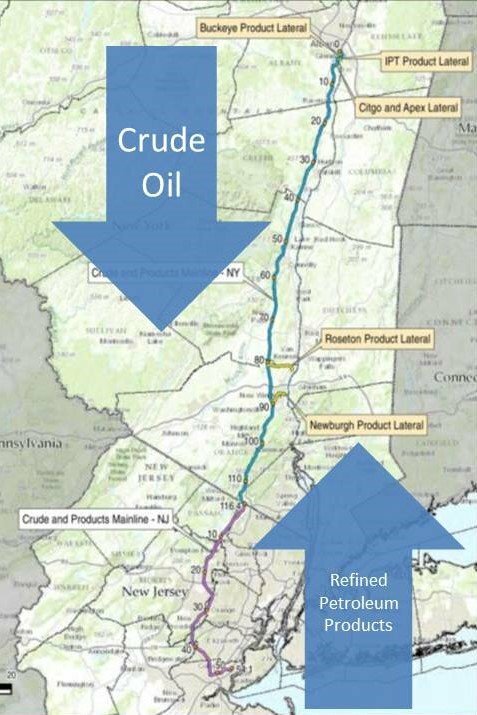 Ultimately, the resolution argues that the “… construction of the Pilgrim pipelines, which will support and expand markets for fossil fuels, is directly contrary to these regional and statewide clean energy plans and goals… ” There is broad agreement from Rockland to Rensselaer counties that this project, if constructed, would take New York down the wrong path.